Chiaia di Rose Beach in Sant'Angelo. Click the photo for our Ischia Photo Gallery. Ischia is full of wonderful things to see and places to go. We've got everything covered for you with all of the beaches, the museums, the gardens, the different towns as well as the famous spots such as Castello Aragonese and Chiesa del Soccorso. 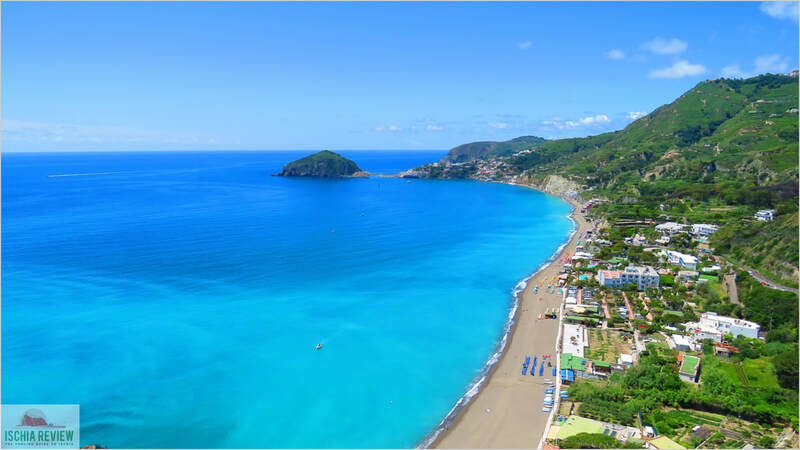 Ischia has a wealth of things to see and do from its fantastic beaches, thermal parks, gardens and historical sights such as Castello Aragonese and Chiesa del Soccorso. Divided up into 6 main districts with a whole host of smaller towns dotted around the town has something for everyone from quiet, tranquil corners with magnificent views to its more vibrant areas of shops, restaurants, bars and clubs. Click on the photo for general info about Ischia or see below for things to see in Ischia. 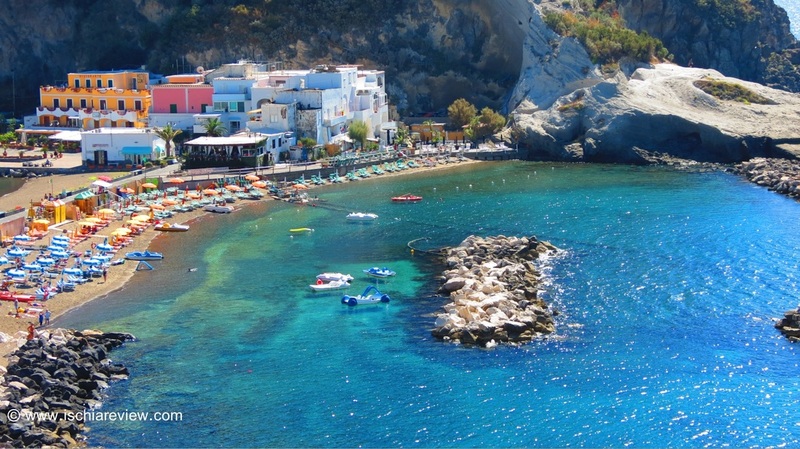 Our guide to Ischia's beaches includes all you need to know about how to find the best beaches in Ischia and what to expect when you go there. Please click the photo for more. 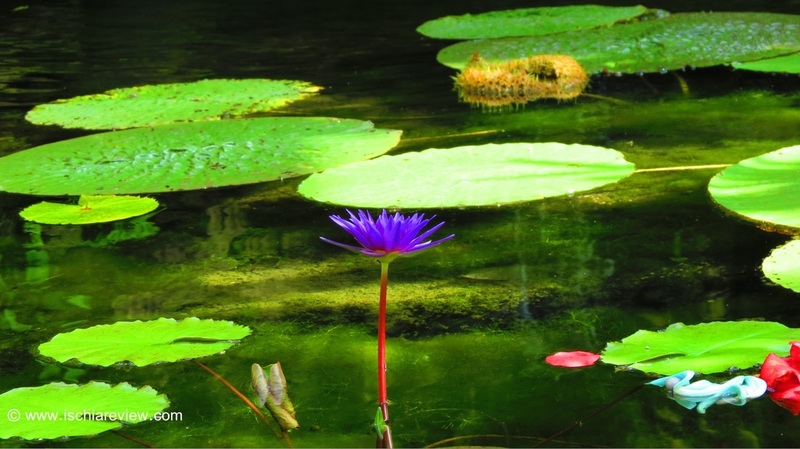 Ischia has some fabulous public gardens such as La Mortella, Ravino Gardens and Corbaro Park. Please click on the photo for our full guide including photos and directions. 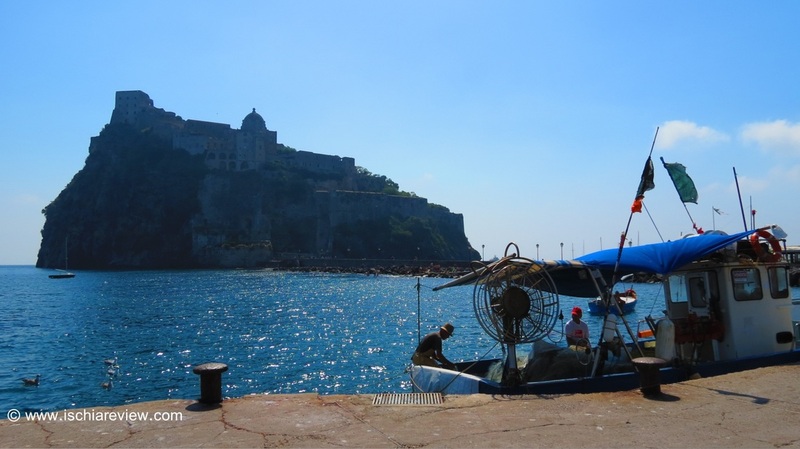 Castello Aragonese in Ischia is the most iconic of sights on the island. The citadel has stood for nearly three centuries so click on the photo for our guide and photos. 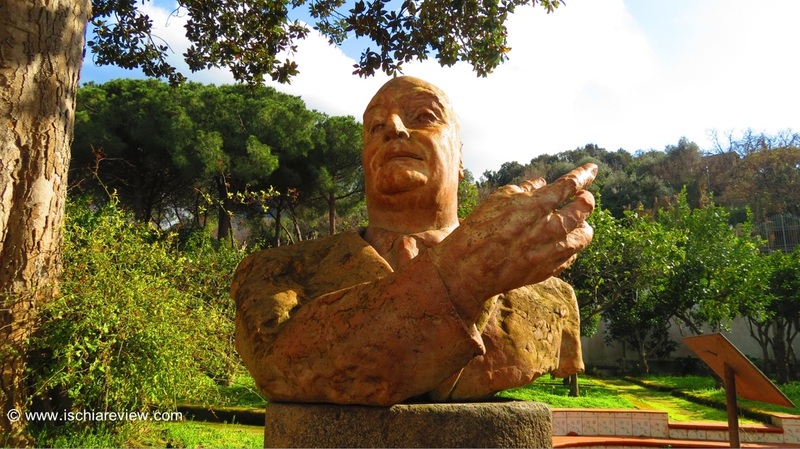 Guide to the Museums of Ischia, including Villa Arbusto Museum, Santa Restituta Museum, La Colombaia Museum and many more. 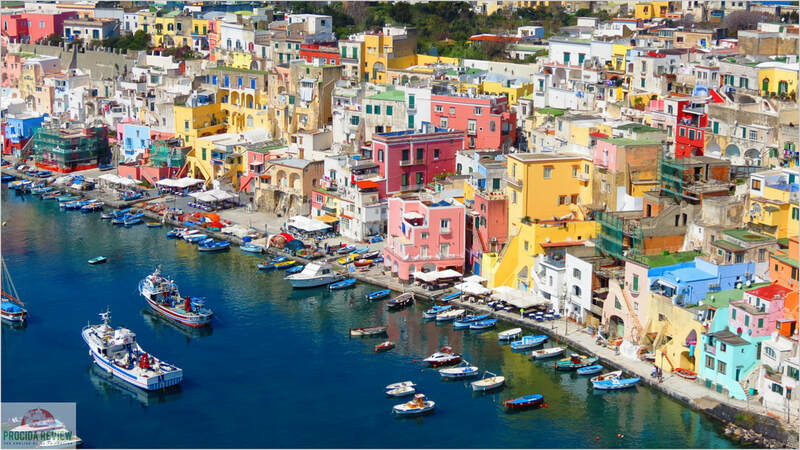 Sant'Angelo is a pretty fishing village in Serrara Fontana, with stunning scenery and fantastic places like Maronti beach and Le Fumarole beach just a short walk from the harbour. 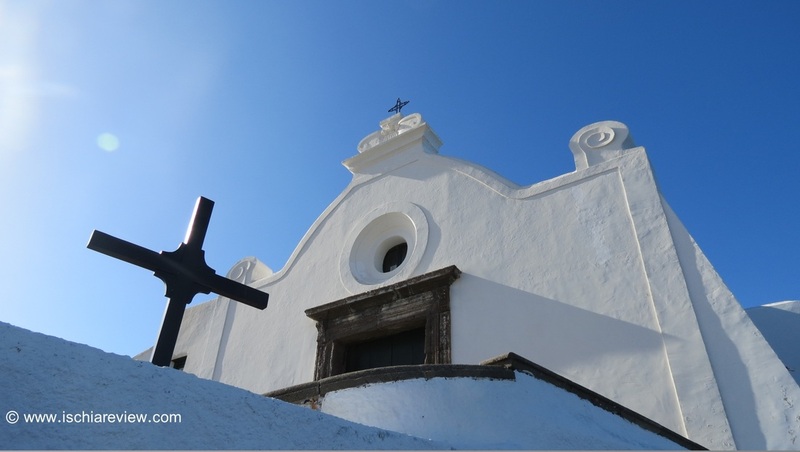 Full guide with photos and directions to some of the most interesting and picturesque churches in Ischia such as the Chiesa del Soccorso in Forio (pictured). 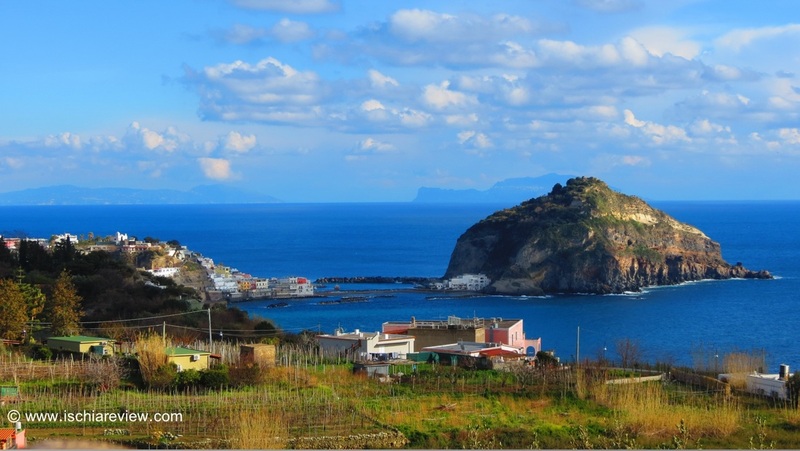 Mount Epomeo is Ischia's highest mountain at 788 metres and can be seen from most parts of the island. Click on the photo for more information and images. 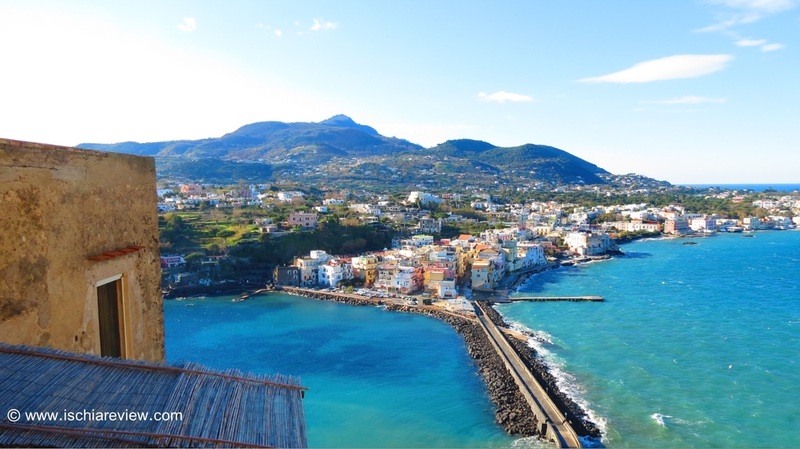 Ischia is divided into 6 self-governed main towns. Our guide explains what you can expect to find in each town with links to restaurants and local facilities. Ischia is famous for its thermal water which is used in thermal parks & gardens, natural spas and wellness centres. Please click on the photo for more information. 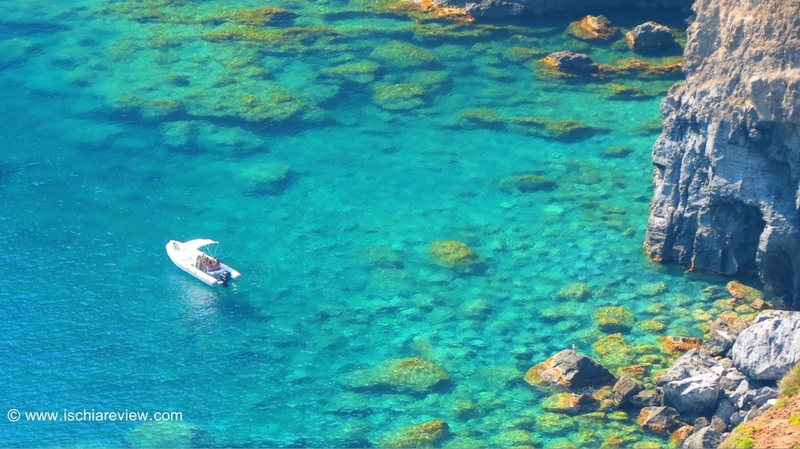 Some of Ischia's most beautiful scenery comes in the form of pretty little bays that are best accessed by boat. Our guide shows you how you how you can reach them. 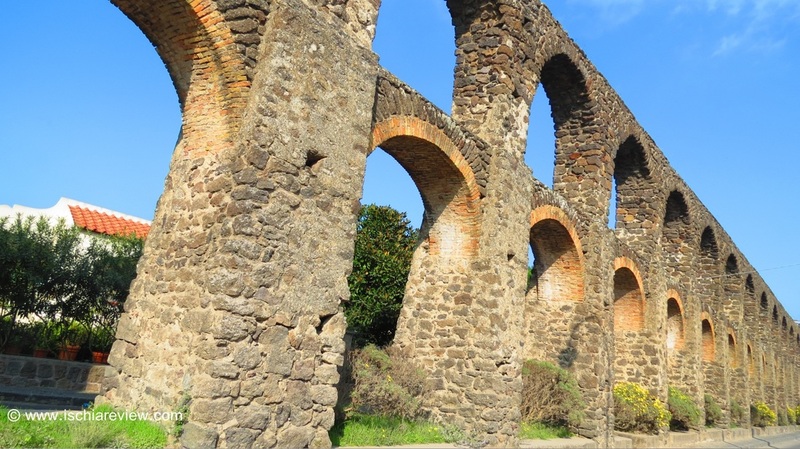 The Roman-style Pilastri Aqueduct is located around the Ischia Ponte. It once provided a vital source of water for local villagers and to this day is standing strong. 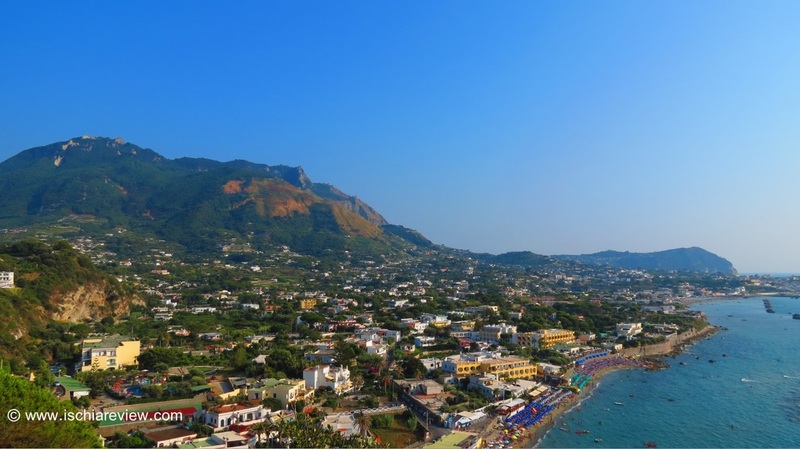 Ischia's position in the gulf of Naples means its easy to take a day trip to visit a range of exciting and historic locations such as the neighbouring islands, the Amalfi Coast and Campania. Since we started Ischia Review in January 2013, we've been roaming the island taking photos of anything and everything that catches our eye. With thousands of original photos of Ischia on the site, we've selected some of the very best for our gallery page.